SOUND: At 1000 mW, these fully-enclosed headphones give you all the power you need, while large 40 mm driver units using strong rare earth magnets deliver rich, full-bodied sound. DESIGN: The SE-MJ522 comes in an elegant, stylish design, highlighted by a reflective metallic spin finish housing and colour-coding with the same colour as the housing. 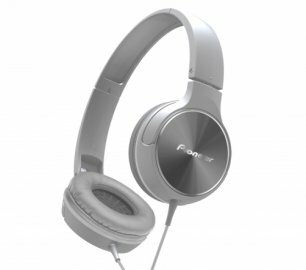 These on-ear headphones fold into a compact configuration for easy storage and carrying. The model is available in attractive colour variations. FIT: A wide headband and soft earpads using low-resilience urethane memory foam finished off with leather-style materials ensure the SE-MJ522 is comfortable during prolonged use and reduces sound leakage at the same time.